Our criminal justice system favors defendants who know how to play the "5K game": criminals who are so savvy about the cooperation process that they repeatedly commit serious crimes knowing they can be sent back to the streets if they simply cooperate with prosecutors. 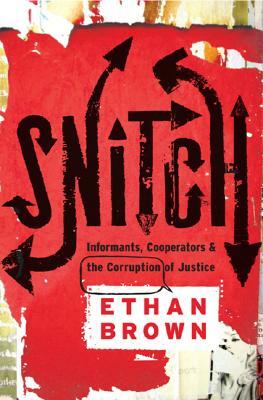 In Snitch, investigative reporter Ethan Brown shows through a compelling series of case profiles how the sentencing guidelines for drug-related offenses, along with the 5K1.1 section, have unintentionally created a "cottage industry of cooperators," and led to fabricated evidence. The result is wrongful convictions and appallingly gruesome crimes, including the grisly murder of the Harvey family in Richmond, Virginia and the well-publicized murder of Imette St. Guillen in New York City. This cooperator-coddling criminal justice system has ignited the infamous "Stop Snitching" movement in urban neighborhoods, deplored by everyone from the NAACP to the mayor of Boston for encouraging witness intimidation. But as Snitch shows, the movement is actually a cry against the harsh sentencing guidelines for drug-related crimes, and a call for hustlers to return to "old school" street values, like: do the crime, do the time. Combining deep knowledge of the criminal justice system with frontline true crime reporting, Snitch is a shocking and brutally troubling report about the state of American justice when it's no longer clear who are the good guys and who are the bad. Ethan Brown writes about pop music, crime, and drug policy for publications such as Wired, Rolling Stone, The Village Voice, and GQ. He is the author of Queens Reigns Supreme: Fat Cat, 50 Cent and the Rise of the Hip-Hop Hustler. He lives in New York.